The Department of Families, Housing, Community Services and Indigenous Affairs (FaHCSIA) has created a highly successful social media campaign promoting respectful relationships called The Line. The Line is aimed at youth, and as apps are an ideal medium to use to reach this audience, The Line app was created to extend the message into mobile. The Line app is updated regularly to display a series of mobile “Zines”, containing news, interviews and performances by top Australian artists who support and promote its message. The Line Shareable App also includes specially-customised features that create an entertaining experience that sees users returning to the app on a regular basis. 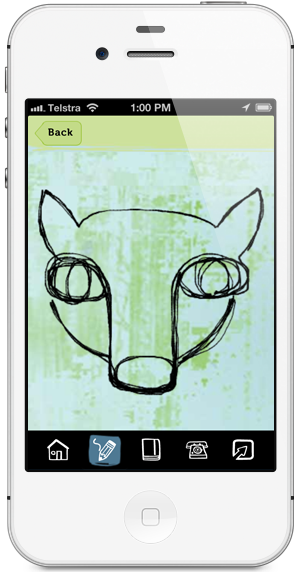 A special drawing module was created to allows users to “Draw their own line”, creating touchscreen artwork, and submitting it to the in-app gallery.